"Never tell them the odds." Alex is an individual that is wrapped up in television. He loves movies and shows and even comic books. However, he really does not have much of a life or much of a love life, either. This changes when Alex meets Beth. Beth is just like Alex in every way. Beth likes all of the shows, movies and comics that Alex loves. Beth also does not have much of a love life, either. They believe heaven itself brought them together and they immediately fall into love. They cannot see each other enough and they enjoy every minute of it. One morning, something goes terribly wrong. Alex wakes up, and there is a stripper on top of him. He does not know how this happened. Just then Beth walks and walks out for good after seeing the horrible sight. Alex has to now do his best to win back Beth and prove his love to her. 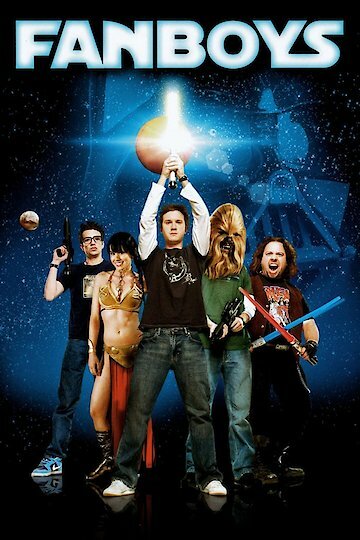 Fanboys is currently available to watch and stream, buy on demand at Amazon, Vudu, iTunes, YouTube VOD online.